The Articulus Corporate Storytelling Workshop will help you create a compelling message that is clear to your audience and helps them to take action on your ideas. You will learn the Articulus Storyboarding Process™ that you can repeatedly use to be an outstanding, persuasive communicator. After the workshop, you will find that you can communicate more naturally and be more interesting to your audience. This is beyond presentation training. Most people have had some form of presentation training in their past. This workshop deals with skills of Persuasion and Advocacy in the face of very complex solutions. It focuses on the bigger picture and helps to engage the audience emotionally which gets the audience excited to buy into your idea. You will learn the “ingredients of persuasion.” The 4 ingredients will be integrated into a well defined process called the Articulus Storyboard(tm). Message Strategy – As an expert, you can talk for hours on a single topic. The audience does not have the time. How do you distill your idea down the the core essence? Corporate Storytellers are clear and concise. Benefits – Every company in the world knows that benefits need to be part of persuasion. Few organizations communicate benefits well. How do you make the presentation about the audience, not you? Corporate Storytellers put the audience at the center. Evidence – People make emotional decisions based on logical arguments. Evidence helps you persuade the audience with the information they need to make decisions. Corporate Storytellers manage both the logical and emotional decisions. Framing – Framing helps you manage the audience perceptions. How does your audience perceive you today? How do you want them to perceive you? Frames make the intangible, tangible. The complex, simple. The confusing, clear. Corporate Storytellers are master framers. You will apply the Articulus Storyboard to create a message and then present your message to your peers. So, you will walk out of the workshop having applied the skill of Corporate Storytelling and will also have developed a real message & presentation for a real event. 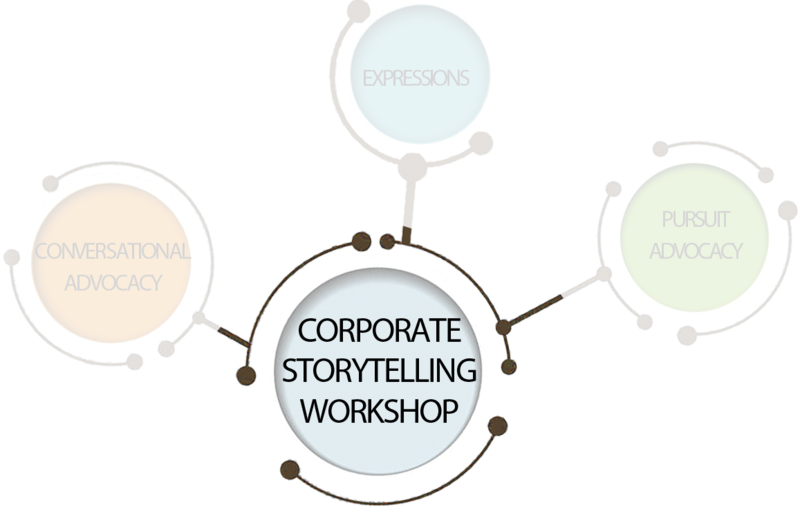 The Corporate Storytelling Workshop can be delivered using the following formats. Face-to-Face/Instructor-led – This is a in-person event lead by an Articulus Master Corporate Storyteller. 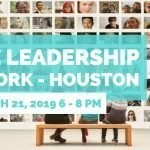 You can register for an open workshop right now. Instructor-led programs are delivered in 2-3 days and cost between $1,000 – $2500/person depending on the length and instruction method used. E-learning – The entire workshop is available as e-learning. Signup now. The course takes 8-12 hours of individual time. The cost ranges between $400 – $1,100 depending on the number of people you train and the amount of individual coaching you prefer. Blended and Virtual – We have taught Corporate Storytelling in every combination of e-learning, virtual, and face-to-face. Please contact us to discuss the right combination for you and your organization. Different Delivery Approaches are designed for different audiences. Please contact Articulus to determine what is right for you. You will Learn, Apply, Practice, and get Feedback. 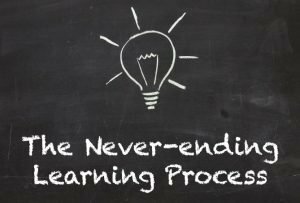 This process is repeated each day for maximum learning and behavior change. You will Learn the concepts of Corporate Storytelling in an interactive, learner-centric environment. You will Apply Corporate Storytelling concepts on your own personal, upcoming event/presentation. You will Practice your presentation each day in front of your peers and instructor. You will get Feedback on the presentation and use of Corporate Storytelling concepts from an Articulus Instructor and your co-workers. The audience for the Corporate Storytelling Workshop varies widely depending on the application. In general, we work with people who have an idea/concept/product/etc. that they want to either explain or advocate. These people have business roles like sales, marketing, leadership, technical experts, and operations. We have also worked with lawyers, clergy, and philanthropists. Do you have a point to get across? We can help you get to the point! OnX used the Corporate Storytelling techniques for their sales kickoff meeting. 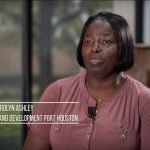 Listen to their VP of US Sales and their CTO talk about how it helped them and the rest of the company. Keith Charron has benefitted from using the Corporate Storytelling techniques for 15 years and at 3 different companies. In this clip, he talks about the results he has seen in his teams and how it has helped him with selling complex ideas. Having the customer think so highly of Paddy and his ability to communicate does create a very positive emotion towards both Paddy and Halliburton. A performance like this can leave a lasting memory of Halliburton and the presenter. When you think of establishing mindshare, this is the type of communication that can do it. Articulus uses certified Master Corporate Storytellers for face-to-face instruction. Articulus has a certification process whereby you can learn to facilitate Corporate Storytelling sessions with internal instructors. Virtual, remote, and e-learning sessions are taught with a combination of certified instructors, facilitators, and coaches, depending on the delivery format.